At Ream Man Valve Bodies, our personal and professional goal is to provide our customers with the highest quality products as well as exceptional customer service and technical support. We are dedicated to helping you solve all your valve body problems, which have been haunting the industry for years. Each of our remanufactured valve bodies are individually tested using a dyno testing machine. This machine acts as a transmission in a car and tests each shift points and solenoids to ensure your product is fully functional. 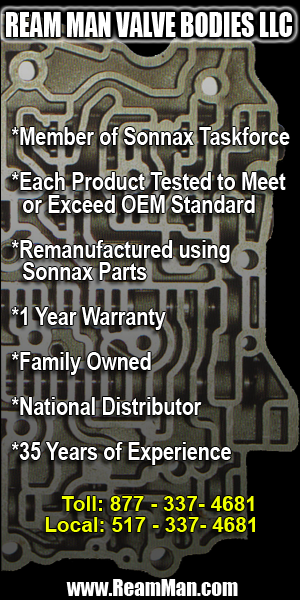 Ream Man Valve Bodies install Sonnax updates to provide you with the highest quality product available. All of our solenoids are tested for integrity and efficiency.